Mark started his working career in the hospitality industry and quickly found out the meaning of hard work and long hours. It wasn’t long before he took over the manager’s role at one of Fremantle’s oldest hotels and spent over 15 years in this very demanding but rewarding position where he quickly honed his skills dealing with people from all walks of life, staff and patrons alike. 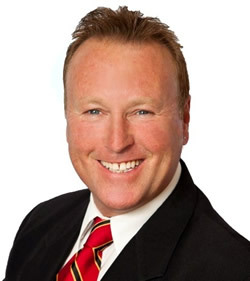 Mark has a passion for people and decided over 10 years ago that Real Estate would be the perfect career change, starting at a boutique office in Attadale where he was involved in many aspects of the industry, from small units to high end Million dollar properties and built a long list of satisfied clients. More recently Mark has been with one of Perth’s leading Franchise groups but jumped at the opportunity where he has the freedom to tailor his services to suit everyone’s individual needs without the shackles of operating within the restrictions of a large franchise group. Taking on the role as Sales Manager at Vost Property Group has given Mark the opportunity to put his experience into practise and a keen desire to expand his overall knowledge in all aspects of the industry. His professionalism, coupled with his down to earth approach will continue to see him achieve great results for his clients.